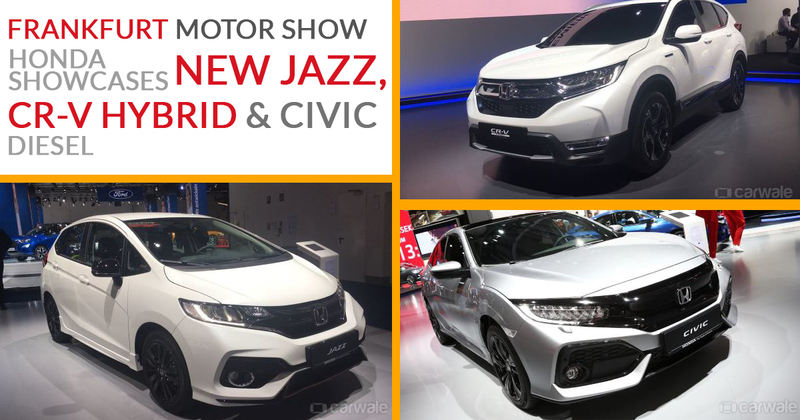 At the ongoing Frankfurt show 2017, Honda has launched the most talked CR-V hybrid. The new hybrid gets few additional features over regular CR-V. The additive includes new intelligent Multi mode drive (IIMD) with twin-motor setup which incorporates an electric motor with a 2.0-litre engine and an independent electric motor generator. The CR-V Hybrid has a traditional gearbox and capacity to mingle among three driving modes. The Hybrid version of the vehicle is now launching in Japan and expected to launch in the UK by 2018. Furthermore, Honda has upgraded Honda Civic with a new diesel engine incorporating 1.6-litre i-DTEC engine. The upgraded version of Honda Civic will be in the market by March 2018. The revised engine produces improved NVH level and gives a 0-100 kmph speed transition in 10.4 seconds. Apart from the engine revision, the company has reworked on the automatic gearbox, oil burner, high strength pistons and low-friction cylinder bores. The most amazing thing about the Honda Civic is that it has nine-speed gearbox transmission which is first-time in the Two-Wheel-drive car by Honda. The company has not disclosed the prices yet but the launch is sure by 2018. Apart from Honda Civic, there is another model which is revealed for upgradations at Frankfurt event. The another revision is done with Jazz model and it has been provided with better interior and exterior look. The revision in Jazz includes solid headlight, grilles, and front bumper shaped with new air vents which are visible at the first straight look. Supporting the front look, the rear part is also revised with trapezoid lower part having a black pruned strips furnishing the narrow grille section. Amazingly, the engine is also updated with 1.5-litre petrol engine, which offers 130 BHP and a new dynamic grade. The upgraded model will be available in the European market by the beginning of 2018 and advance booking will start from this November.